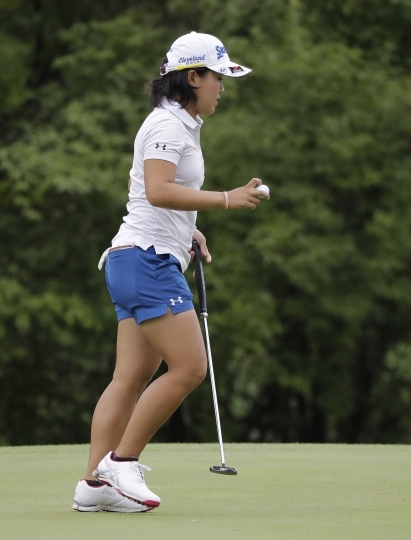 INDIANAPOLIS — Sung Hyun Park relied on the same, steady style that has helped make her one of the LPGA Tour's top players. 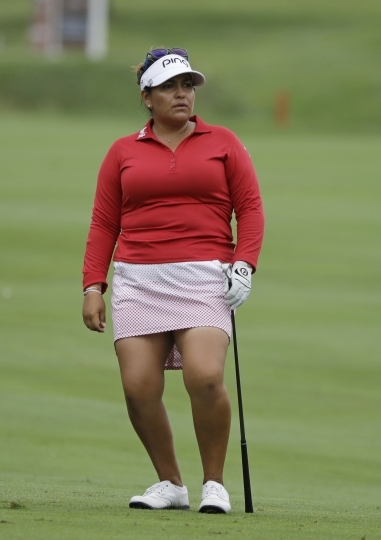 When her putts kept rolling in Friday, she was virtually unbeatable. "The best round of the year," the South Korean player said through an interpreter. "My putting overall was what really helped." "It was going to be hard to top that 62 yesterday but I stayed patient," Salas said. "This was a completely different golf course, so I had to change my mentality a little bit and I had to forget about the 62 in a way and just go back to what I was doing." Park has two majors and four overall LPGA Tour victories the last two years, winning the U.S. Women's Open and CP Women's Open last year and the Volunteers of America LPGA Texas Classic and KPMG Women's PGA Championship this season. "I worked on my short game the most, especially measuring the distances," Park said. "It paid off." In between the showers, the world's fourth-ranked player performed like a two-time major champion. Salas took a different tack one day after tying Mike McCullough's course-record 62. Rather than take advantage of the course's soft greens, the 29-year-old American needed patience Friday. She opened with 12 consecutive pars then made three straight birdies on Nos. 4-6. After her first bogey of the tournament, on the par-4 eighth, Salas closed out the round with another birdie to tie Park. 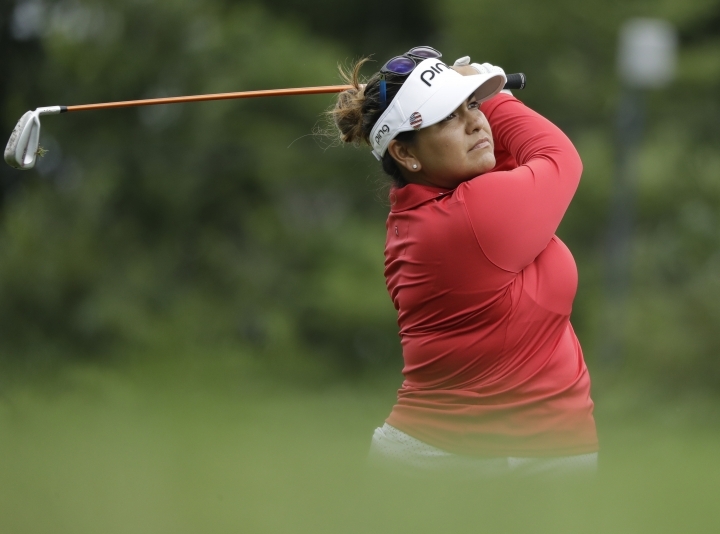 Salas hasn't won since the 2014 Kingsmill Championship, but she's developed a real affinity for the Indy course where she's had five consecutive sub-par rounds dating to last year's fifth-place finish. "I've been giving myself a lot of birdie chances," Kang said. "That was my goal this week. I just have been feeling like I was in a little bit of a funk, so I told my caddie we were just going to pick a number, play my game, forget all the swing thoughts, forget everything and just kind of play it by feel." Kang hasn't recorded a bogey over the first 36 holes and is in contention for her first tour victory last year's KPMG Women's PGA Championship. Saturday's forecast calls for partly cloudy conditions with highs in the low 80s and Sunday is supposed to be mostly sunny with highs in the mid-80s. "I'm going to do really well," she said. "I feel really good about my game, especially my short game. And it's just about the weather now, so hopefully the weather is good."